You may really feel irritated if some of your videos in certain formats cannot be played with your media player. Sometimes, you may sadly find out that your video files end up with poor quality when playing them on the home computer. The fact is, you can try alternative great media player tool to enjoy your music and video. 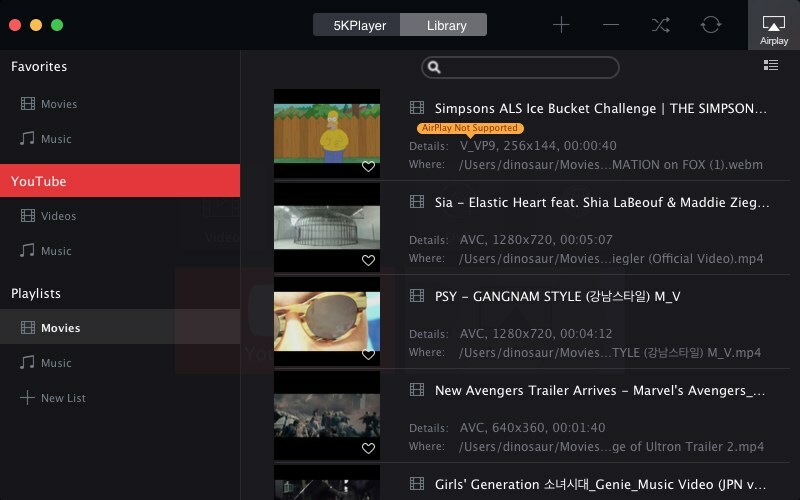 The mobile software provider DearMob, Inc. recently released a brand new media player called 5KPlayer(http://www.5kplayer.com)-the world’s first and only ultra HD video player supporting online video downloading feature and AirPlay technology. And this revolutionary media player will spice up your digital life. 5KPlayer2.0 Video—ISO image, DVD media AVCHD Video (*.mts, *.m2ts), H.264/MPEG-4 AVC (*.mp4), MPEG2 HD Video (*.mpg; *.mpeg), MPEG-4 TS HD Video (*.ts), MPEG-2 TS HD Video (*.ts), Quick Time HD Video (*.mov), WMV HD Video (*.wmv, *.xwmv), Blu-ray Video (*.mts, *.m2ts), HDTV Video (*.ts), Matroska Video (*.mkv). 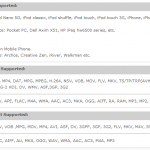 Audio—MP3, APE, FLAC, AAC and more audios. DVD—latest encrypted DVD, Normal DVD, CSS protected DVD, region 1-6, Sony ArccOS, Commercial DVD. This can really help Mac users a lot since a great many file formats cannot be played on Mac, and once you want, the process is kind of tough. But with 5KPlayer, playing your music or video files will be as easy as a pie. 5KPlayer is just what you need for 4K media play as it is tailored to ultra HD definition videos with high quality. As the best free 4K 5K video player, it plays any UHD videos without blemish. 4K is the next display revolution around the corner. If your hardware and video resolution permits, you can enjoy 4K video with 5KPlayer, which is epoch-making. When it comes to download YouTube music or online video, who can top the feature-rich 5KPlayer, for it can not only download music from YouTube with MP3, FLAC, AAC, but also download online videos from Facebook, Vimeo, etc. more than 300+ sites. You need 5KPlayer, a professional video to MP3 converter that gives you easy access to convert videos soundtracks to MP3 and AAC files with original audio quality reserved in merely 2 steps. 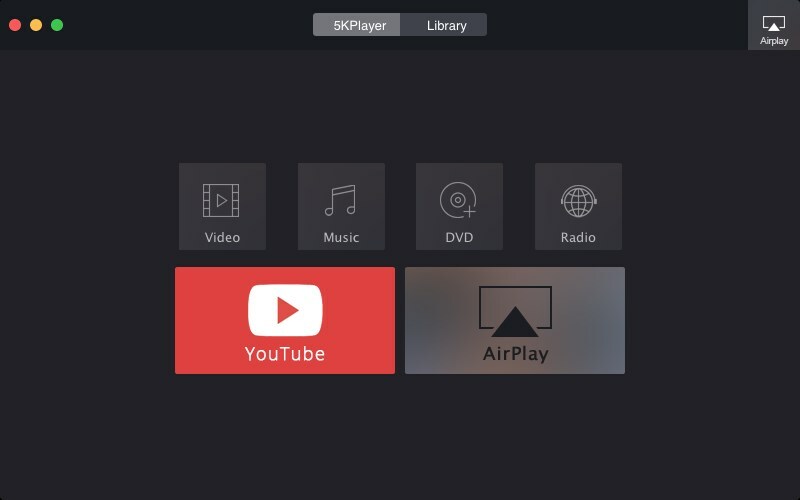 Developed with built-in AirPlay function, 5KPlayer is one of the few free programs that can turn PC/Mac into an AirPlay Server. With 5KPlayer, users can free stream video and music among AirPlay enabled devices. Apart from the advanced features mentioned above, with the simplest interface ever, 5KPlayer is also armed with many interesting functions such as direct radio listening, de-interlace setting, subtitles setting, sound tracks setting and rotating. In terms of overall performance, 5KPlayer dominates the media player field. Designed with the concept of functionality and simplicity, 5KPlayer is easy to download and launch. The whole process can be completed within 5 simple clicks. On top of that, this media player software is available for free and comes with regular updates. Related to "5KPlayer Review-A Full-featured UHD Media Player Freeware"